Back on 16 August 2010 I complained about serious collector journals allowing contributors to show off fake material as if it is genuine. Of course, they believe their material is genuine, they just haven't looked at it carefully enough. Here's another example from the British Journal of Russian Philately #101, just published. 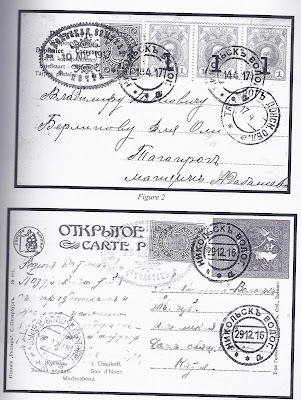 Full of excellent material by deeply knowledgeable collectors like Dr Raymond Casey (Ship Mail), Jack Moyes (Fiscals and Vignettes) Edward Klempka and Terry Page (Zemstvos), it also gives a page to the crude fakes shown above. 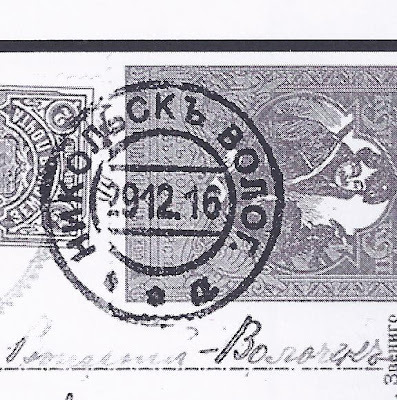 I do not have the cards in front of me, so I cannot tell you if the NIKOLSK and NIKOLSK ZEMSTVO postmarks are digital forgeries or made with handstamps. But even in a black and white illustration it is possible to see that the ink of the NIKOLSK postmark is wrong for an Imperial postmark of this period. 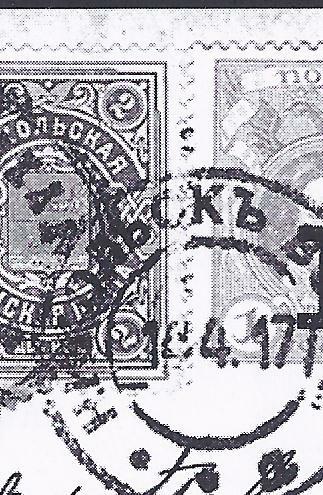 The use of large format Currency Stamps and War Charity stamps make it possible for the forger to cover up what was originally on the postcards - the low value Imperial Arms stamp or stamps and associated postmarks. 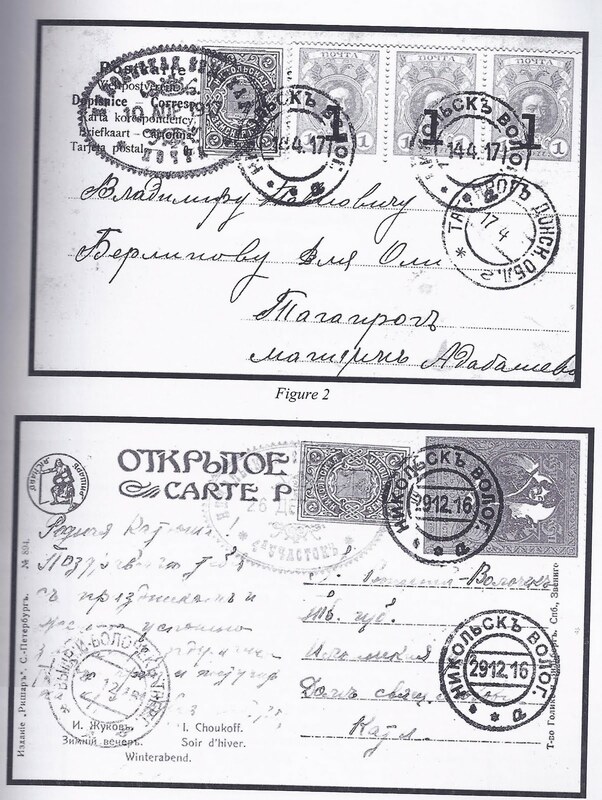 So a thorough forensic analysis of these cards would involve steaming off the stamps to see what is underneath.